Medium bodied with a soft round Merlot mouth-feel, black fruit flavours with a touch of dried herbs. “60% merlot, 33% cabernet sauvignon, 5% cabernet franc, 2% petit Verdot. The cabernet sauvignon component comes from new Entav clones 338 and 412, which have the same potential as the new merlot clones. The components were separately vinified and blended, before 14 months maturation in fine French oak. Balnaves has made this Bordeaux blend its own, defiantly thumbing its nose at Margaret Rive. It’s on the light side of medium-bodied, but ticks all fruit boxes from blue and black, moving on to its supple mouthfeel ex fine tannins and oak” Drink to 2027. Vintage 2014 was again mild with one warm day, cool weather during January and February allowing extended ripening. Cabernet Sauvignon (56%) from Quarry and Paulownia blocks and our old 1976 plantings, Merlot (38%) from Avery, Silage and Rise and Cabernet Franc (6%), were combined and matured in fine grained French oak for 14 months. Bottled in October 2015. Dark red in colour, the nose is intense with aromas of wild blackberry, seaweed and liquorice combined with delicate smoky-coffee French oak. The palate is medium bodied with a soft round Merlot mouth-feel, black fruit flavours with a touch of dried herbs. This wine will reward careful cellaring, decanting before drinking. Blended from Merlot (52%) from our Avery and Silage vineyards, Cabernet Sauvignon (46%) from Walker, Avery and Quarry and Petit Verdot (2%) from Dunstan vineyard. These were combined and matured in French oak for 14 months. Dark red in colour, the nose is intense with aromas of mulberry, wild blackberry and liquorice combined with delicate smoky-coffee French oak. The palate is medium bodied with a soft round Merlot mouth- feel, black fruit flavours and a touch of dried herbs. This wine will reward careful cellaring, and decant before drinking. Blended from Cabernet Sauvignon (51%), Merlot (43%), Cabernet Franc (6%). Mid red in colour, the nose is intense with aromas of wild blackberry and liquorice combined with delicate smoky-coffee French oak. The palate is medium bodied with a soft round Merlot mouth-feel and black fruit flavours. Blended from Cabernet Sauvignon (90%), Merlot (5%), Cabernet Franc (2%). Mid red in colour, the nose is intense with aromas of cranberry, wild blackberry and beetroot combined with delicate mocha-coffee French oak. The palate is medium bodied with bright delicate fruit and a firm- tannin backbone. Deep rich red in colour, the nose is intense with aromas of ripe blackberry, liquorice and cranberry, combined with delicate mocha-coffee French oak. The palate demonstrates the Merlot dominance, being round and soft with precise dark fruit and a fine-tannin finish. Once again with a good year for Merlot the blend is merlot dominant with Merlot (53%) from our Rise, Avery and Silage vineyards, Cabernet Sauvignon (37%) from Avery, Walker and Rise vineyards and Cabernet Franc (10%) from our Gumtree vineyard. Maturation was for 16 months in seasoned oak second and third fill to give a more subtle oak character with bottling in October 2011. Delicate aromas of liquorice dark fruits mint and subtle milk chocolate aromas. A very delicate example of The Blend reflecting the relatively shorter “hang time” for the 2009 vintage and the higher percentage of Cabernet Franc this year. 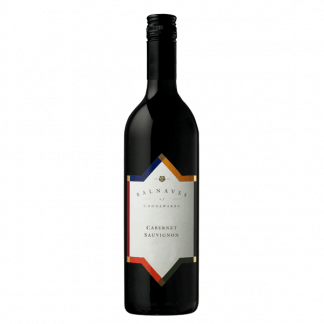 Comprised of Quarry and Walker vineyard Cabernet Sauvignon (72%), Rise and Avery Merlot (22%) and Gumtree Cab Franc (6%), the palate is elegant and delicate with fresh black fruit and a leaner tannin finish. 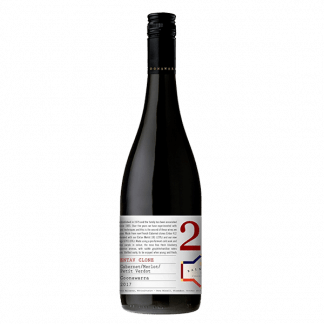 Deep rich red in colour with a ripe dark fruit nose , spicey vanillin oak and a characteristic liquorice note from the small percentage of Cabernet Franc. Made this year from Cabernet Sauvignon (74%), Merlot (25%) and Cabernet Franc (1%), this is a bigger Blend than usual with softer tannins and a riper fruit profile. Maturation was in mostly second fill oak from Seguin Moreau and St Martin cooperages for 15 months prior to bottling in August 2009. Mid-dark red in colour, the nose reflects the frosty 2007 spring, cooler mint aromas dark olive and some leafy notes, but still the distinct spicy leather notes. Made only from merlot (55%) and cabernet sauvignon (45%) this year, as all the Petit Verdot and Cabernet Franc was lost to frost. Fresh and drinking well now. Deep red in colour, the nose is dense with ripe dark blackberry and blueberry fruit, integrated vanillan oak and a perfumed note of violets. The palate is medium-bodied and elegant with a firm tannin finish. The Blend is ready to drink on release however this wine in particular will benefit from some cellaring. Deep red in colour, rich ripe nose of forest berries, tar and dark fruit notes. Full bodied and rich wine, with good depth of dark fruit French oak vanilla characters and firm tannins.54% Cabernet Sauvignon, 28% Merlot, 16.5% Cabernet Franc and 1.5% Petit Verdot. The 2004 Balnaves The Blend is deep red in colour, bright purple tinge. It has a nose sweet and lifted floral Cab Franc savory notes, on the nose with fleshy Merlot black fruit. Palate is rich and strong with firm tanning slight grippy this stage. The 2002 Balnaves The Blend is mid to deep red in colour, bright red tinge. It has a lifted nose with slightly leafy aromas and fleshy notes. The palate is soft with earthy notes and leafy fruit. It has a good mouth feel and softness. The 2001 Balnaves The Blend is deep red in colour, purple tinge. It has a lifted nose, sweet earth, beautifully integrated oak, dark berry fruit and spice notes. It also displays clean fruit and soft fleshy notes. The palate is very balanced and stylish with great oak balance. It also shows cassis fruit, mint, and good roundness and firm finish. Solid wine. The 2000 Balnaves The Blend is mid to dark red in colour with red tint. It has a complex nose with sweet berry fruit, earthy, leather, spice and some gamey barn yard notes. Starting to dry on the finish. The palate is soft and sweet with earthy flavours and fleshy cassis. It is a softer, riper warm vintage style. The 1999 Balnaves The Blend is mid to deep red in colour with slight brown. The nose is complex with dark berry fruit, plums, chocolate and spice. It has good intensity and balance. The palate is soft and fleshy with good dark berry fruit, dates and spice. It has a good tight finish with pepper and spice. The 1998 Balnaves The Blend is mid to dark red in colour with a brick tinge. It has a big nose with ripe fruit, sweet jammy notes and smoky cedar characters. It shows good intensity of fruit and age characters. The palate is big and rich with fleshy ripe fruit and earthy notes. The 1997 Balnaves The Blend is light to mid red in colour with a brick tinge. It has a complex nose with lifted, leafy aromas including pepper and dark berry fruit with some charry notes. The palate is soft and fleshy, slightly lean and angular. There are greener elements showing in this wine from the cooler vintage. The 1996 Balnaves The Blend is mid to dark red in colour with a brick tinge. It has a sweet complex nose, cassis fruit, plum and spicy notes, a good balance of age and fruit. The palate is soft and fleshy with complex plum, spice, pepper and mushroom. The 1995 Balnaves The Blend is mid red in colour with a brick tinge. The nose is still fresh with minty notes and complex cedar, mushroom and liquorice hints. The fruit is still balanced. The palate is complex mint and the fruit is still firm. The 1994 Balnaves The Blend is mid red in colour with a brick tinge. The nose is has slightly musty notes with some mature fruit and smoky linen. Old furniture notes are also showing. The palate is lean and the fruit has faded. The 1993 Balnaves The Blend is light mid red brown in colour with a brick tinge. It has a lifted nose with green stalky fruit, some mushroom complementing fully mature bottle age character. There’s also hints of soy sauce. The palate is soft, sweet and complex but the fruit has faded and is just starting to break up.